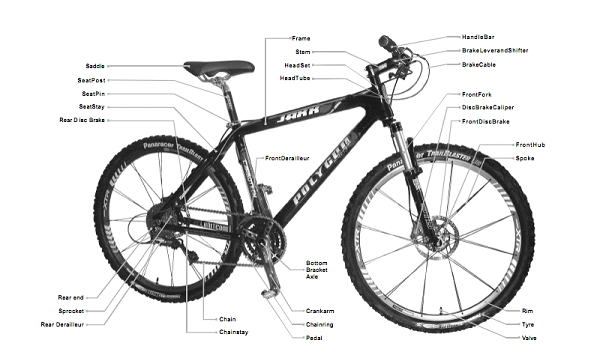 Bike Sizing - Rodalink, a Malaysia bicycle online shop providing bikes, parts and accessories, fulfilling cyclist needs & upgrades, check out the greatest deal now! In deciding on the most suitable bike for you, it is best to consider what sort of riding you would like to do. Road bikes are suitable for long rides on smooth roads. They typically feature 700c wheels with relatively high gearing. They feature narrow tyres and no suspension, making them very efficient. Road bikes weigh approximately 10kgs and are designed for speed. Hybrid Bikes combine the features of road bikes, with large 700c wheels, together with a MTB frame. They are designed for the urban environment, with a more comfortable riding position of a mountain bike, but with similar efficiency of a road bike. Cruiser/Town bikes are all about comfort and style. Wide tyres soak up the bumps, the relaxed seating position is much kinder on the back. They are not designed with performance in mind, and are often limited to a small range of gears and can be quite heavy in comparison to other bike types. Over the years manufacturers have simplified the sizing of bikes into regular categories ; small, medium and large. These sizes combined with adjustments in saddle and handlebar height ensures that the majority of riders are comfortable. For the expert rider, see the specific bike geometry on the product page. Cruisers bikes come in one size fits all. There is plenty of adjustment in the saddle height as well as the handlebars. 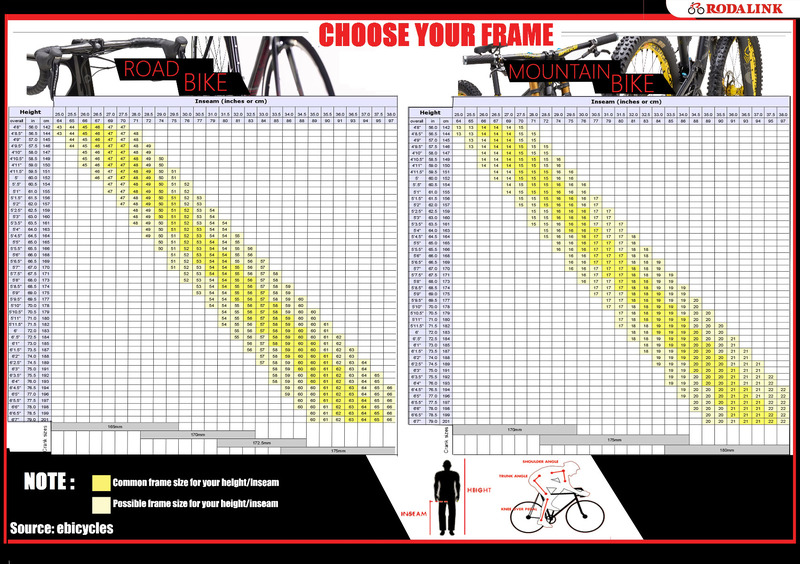 MTB frames are measured in inches, and the recommended heights are listed below.